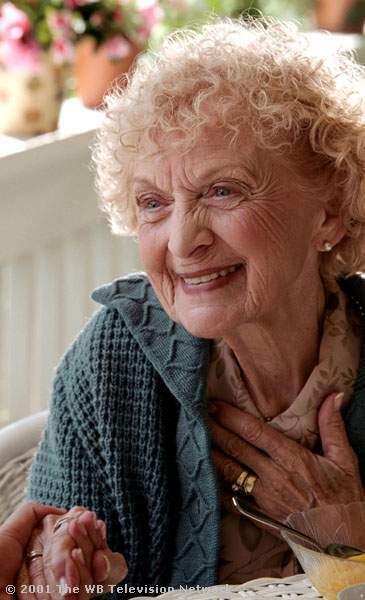 Ellen Albertini Dow was born on November 26, 1918 in Mount Carmel, Pennsylvania. She got into in showbiz after earning a B.A. and an M.A. in theater from Cornell University. After moving to New York, she worked with the great dancer Martha Graham, studied acting with Michael Shurtleff and Uta Hagen and mime with Marcel Marceau in Paris. She performed in New York theaters and worked as a director and choreographer on many productions. She married Eugene Dow in 1950. Ellen and her husband moved to Los Angeles and she became a drama teacher in Los Angeles City College and Pierce College. She taught drama and dance for over 30 years. Her first TV appearance was in the mid-'80s in "The Twilight Zone". Since then she has guest-starred on several TV shows and movies. 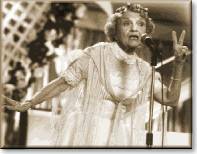 Ellen Albertini Dow is Grandma Harriet Krupp, Mary's mother. She likes to hide food and does it so well that even she doesn't know where she hid it! Believe it or not she met Pablo Picasso (The Rick's in Love Episode).